EDC University delivers e-learning and resources directly to you...on your schedule and at your convenience. It is dedicated to helping you become the best version of you in both your business and personal life. EDCU provides the proven tools you, your team, and your organization need to not only set goals, but reach them as never before. Delivered in Ed DeCosta's inimitable style, you will not only learn and grow - but thoroughly enjoy the process. Scroll down to review the current course offerings. 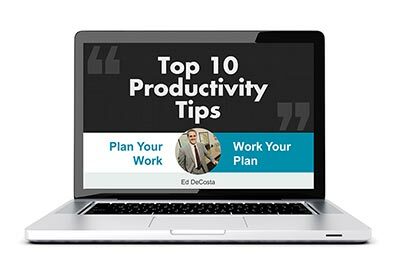 In one of his signature teachings, veteran executive coach, speaker and educator, Ed DeCosta provides his Top Ten Tips to Personal and Professional Productivity. Productivity is never an accident. It is a result of commitment, thoughtful planning, and sustained effort. Armed with these pieces of wisdom, you can reach your true potential, becoming the best possible version of you. 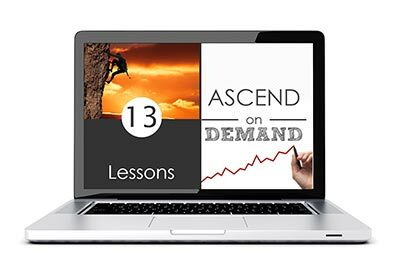 The Ascend Transformation Coaching Program is now available on demand. In his inimitable style, Executive Coach Ed DeCosta will skillfully guide you through the five levels of transforming your life. This course includes 13 coaching lessons, a monthly live accountability and recognition call, and exclusive access to the Ascend on Demand private Facebook group. This program offers guidance, support, and live accountability, all geared toward helping you become the very best version of you! Click here to learn more. The Ascend Coach's Toolkit (ACT) is the premier go-to resource for coaches. Suitable for masterminds, workshops, and individual coaching, it includes Ed DeCosta’s proven system for building a 6-figure coaching business. It was designed with entrepreneurs and new coaches in mind, providing a simple done-for-you roadmap you can use immediately to begin building your coaching business. A valuable additional resource to complement your current library, it works equally well as a stand-alone program or a supplement to other programs. Delivered to your door and online, the Ascend Coach's Toolkit (ACT) also includes live monthly coaching calls. At the Gold level, you also get four 30-minute business and sales strategy sessions. 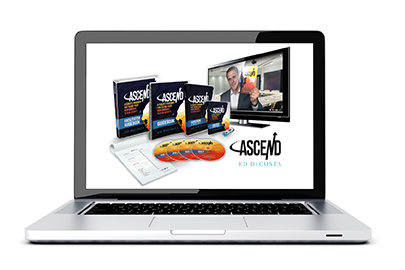 At the Platinum level, you get six 30-minute business and sales strategy sessions, 25 autographed Ascend books, and a promotional video testimonial from Ed. Click here to learn more.